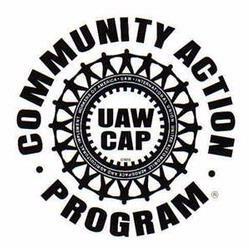 The UAW’s Voluntary Community Action Program (VCAP) raises money for congressional candidates through voluntary contributions by members and retirees. VCAP dollars are spent to support candidates who support us. In 2010, 93% of money given by organized labor was given to Democrats; 6% was given to Republican candidates. Where does VCAP money come from? ALAA members at the Legal Aid Society can sign up for voluntary monthly payments to be deducted from the paycheck, as per our Collective Bargaining Agreement with The Society. Members at other units can sign up for monthly recurring payments. Why do we need VCAP? Top four conservative groups currently give twice the amount of money to politicians as all labor unions put together. No. As labor unions we have the ability to mount grassroots campaigns supporting pro-worker candidates to for office. However, that takes money and resources to support. What is a Pro-Worker Candidate? How do we assess a candidate’s commitment to pro-worker issues? Through our Region 9A CAP Council, members have a voice on these decisions. How does the UAW compare to other unions in raising VCAP dollars? Some unions recently researched by the UAW ask and get their members to give between $7 and $9 per month.